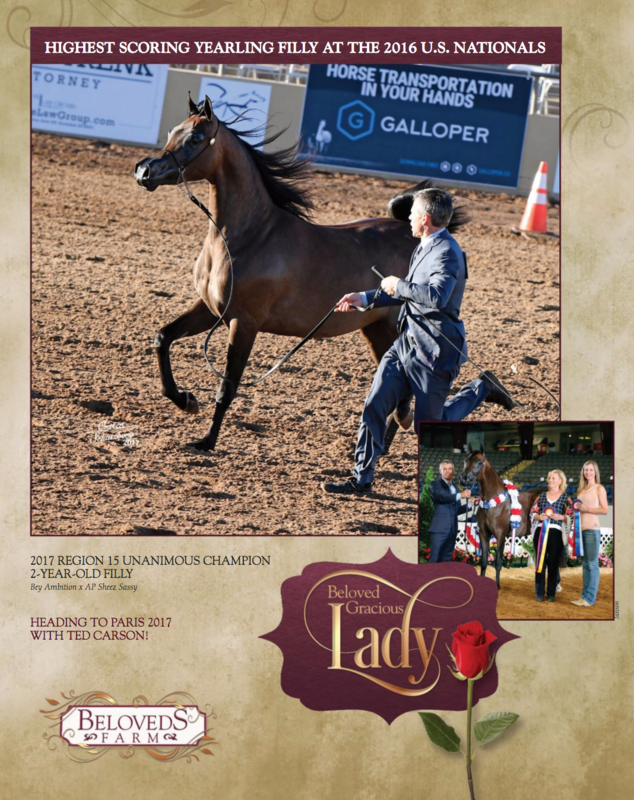 Beloved Gracious Lady, sired by Bey Ambition, bred, owned, and loved by Patricia Dempsey of Beloveds Farm. Gracious Lady is a most spectacular filly and with Patricia, Ted Carson, and the entire Beloveds family the very best of luck as she continues with her career. The city of love and lights will be shining so much brighter this November!